One of the most effective ways to compile information about an enemy (or potential enemy) is by infiltrating the enemy’s ranks. This is the job of a spy. Spies can bring back all sorts of information concerning the size and strength of an enemy army. They can also find dissidents within the enemy’s forces and influence them to defect. In times of crisis, spies can also be used to steal technology and to sabotage the enemy in various ways. For centuries women have served their allegiances with as much efficacy as their male counterparts in espionage. The spies listed here are the top 10 beautiful lady spies from the history. Best known as Belle Boyd or Cleopatra of the Secession, was a Confederate spy in the American Civil War. She operated from her father’s hotel in Front Royal, Virginia and provided valuable information to Confederate general Stonewall Jackson in 1862. Belle Boyd’s espionage career began by chance. According to her 1866 account, on July 4, 1861, a band of Union army soldiers saw the Confederate flag hung outside her home. They tore it down and hung a Union flag in its place. This made her angry enough, but when one of them cursed at her mother, she was enraged. Belle pulled out a pistol and shot the man down.She was fuming. A board of inquiry exonerated her, but sentries were posted around the house and officers kept close track of her activities. She profited from this enforced familiarity, charming at least one of the officers, Captain Daniel Keily, into revealing military secrets. “To him,” she wrote later, “I am indebted for some very remarkable effusions, some withered flowers, and a great deal of important information.” Belle conveyed those secrets to Confederate officers via her slave, Eliza Hopewell, who carried the messages in a hollowed-out watch case. She served as a British agent during the later part of World War II. She became a leading figure in the maquis groups of the French Resistance and became one of the Allies’ most decorated servicewomen of the war. Born in Roseneath, Wellington, New Zealand, Wake’s family moved to Sydney, Australia in 1914. She was two years old at the time, and the youngest and most independent of six children. Later, her father left the family to return to New Zealand, leaving her mother to raise the children. Later, in 1939 she met wealthy French industrialist Henri Edmond Fiocca, whom she married on 30 November. She was living in Marseille, France when Germany invaded. After the fall of France, she became a courier for the French Resistance and later joined the escape network of Captain Ian Garrow. The Gestapo called her the “White Mouse”. By 1943, she was the Gestapo’s most-wanted person, with a 5 million-franc price on her head. From April 1944 to the complete liberation of France, her 7,000 maquisards fought 22,000 SS soldiers, causing 1,400 casualties, while taking only 100 themselves. Her French companions, especially Henri Tardivat, praised her fighting spirit; amply demonstrated when she killed an SS sentry with her bare hands to prevent him raising the alarm during a raid. After the war, she received the George Medal, the United States Presidential Medal of Freedom, the Médaille de la Résistance and thrice the Croix de Guerre. She was not awarded any Australian decorations. She also learned that the Gestapo had tortured her husband to death in 1943 for refusing to disclose her whereabouts. After the war she worked for the Intelligence Department at the British Air Ministry attached to embassies of Paris and Prague. After marrying John Forward in 1957 she returned to Australia. She was the wife of General Thomas Gage, who led the British Army during the American Revolutionary War, and is said to have spied against him out of sympathy for the Revolution. She was born in New Brunswick, New Jersey and resided in East Brunswick Township. Historical texts, most notably Paul Revere’s Ride suggest that Mrs. Gage provided Joseph Warren with information regarding General Gage’s raid at Lexington and Concord. All of the circumstantial evidence shows that that Dr. Warren’s informer was indeed Margaret Kemble Gage – a lady of divided loyalties to both her husband and her native land. As a result, Gage was sent to England aboard the Charming Nancy on her husband’s orders in the summer of 1775. She was an American-born French dancer, singer, and actress. Nicknamed the “Bronze Venus”, the “Black Pearl”, and even the “Créole Goddess” in anglophone nations. Baker was the first African American female to star in a major motion picture and to integrate an American concert hall, and to become a world-famous entertainer. 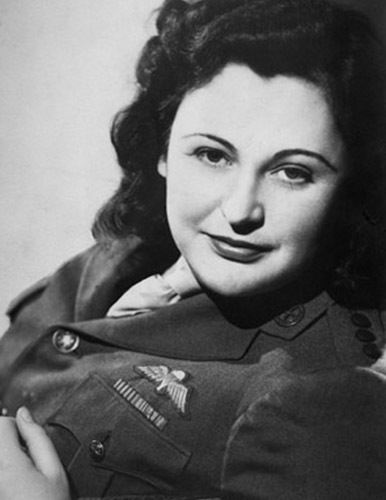 She is also noted for her contributions to the Civil Rights Movement in the United States (she was offered the unofficial leadership of the movement by Coretta Scott King in 1968 following Martin Luther King, Jr.’s assassination, but turned it down), for assisting the French Resistance during World War II and for being the first American-born woman to receive the French military honor, the Croix de guerre. On September 13, 1944, a beautiful Indian princess lay dead on the floor at Dachau concentration camp. She had been brutally tortured by the Nazis then shot in the head. Her name was Noor Inayat Khan. The Germans knew her only as Nora Baker, a British spy. The first female radio operator to infiltrate occupied Paris, she was posthumously awarded the Croix de Guerre and the George Cross – one of only three women from the Special Operations Executive to receive the latter medal. But while Odette Hallowes and Violette Szabo have had Hollywood films made of their lives and blue plaques put up in their honour, Noor has been largely overlooked. The gentle Indian woman who sacrificed her life for Britain, has become a footnote in history. A memorial to her has long been overdue. And when a bust of Noor goes up in London’s Gordon Square in 2012, it will be the first statue to an Indian woman in Britain – and the first to any Muslim. Given the contribution of Asian women in this country to arts, music, literature, law, human rights and education, it is a gap that is crying to out be filled. Noor’s journey from her birthplace in Moscow to London was in many ways part of her exotic upbringing. A descendant of Tipu Sultan – the famous 18th century ruler of South India, known as the Tiger of Mysore – she was brought up a fierce nationalist by her father, Hazrat Inayat Khan, a Sufi preacher and musician. Noor was trained as a secret agent, given arms training, taught to shoot and kill, and finally flown to Paris under the code name of Madeleine, carrying only a false passport, a clutch of French francs and a pistol. Despite her spy network collapsing around her, Noor stayed in France for three months, until she was betrayed. What followed in October 1943 was arrest, imprisonment in chains, torture and interrogation. Noor bore it all. She revealed nothing to her captors, not even her real name. When the end came on September 13, 1944, it was not swift or painless. Defiant till the last, she shouted “Liberte” as she went down to a bullet fired at the back of her head.